Extraordinary social drama-thriller...The genius of the film is the grasp of its narrative. We are held by these grim games of fate, some genuinely life-or-death. We are held by the spinning ironies of a story in which every main character, at some moment, interacts with the others. And we are held by the seemingly real-time attention and intensity ? and the nerve-exposing tragic candour ? with which the director tells his tale. ?The film?s images extricate beauty from the most dismal of situations?Hu manages to evoke emotions so deeply felt and overwhelming? 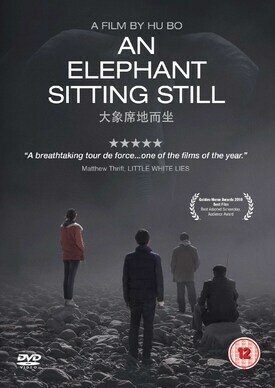 ?An Elephant Sitting Still,? with its chilling sense of a suspended time in which history, culture, beauty, and even memory seem erased, is among the greatest recent films." "For a first-time director, the confidence and proficiency of Hu?s cinematic expression astonishes....It?s a terrible waste to lose such a remarkable, uncompromising voice in today?s government-censored, market-dictated Chinese cinema ? let alone at just 29 years of age. One can only hope that this film which, for all its overt and emphatic bleakness did not end on a tragic note, could offer some sense of solace to its audience, even if it had not been enough for its brilliant maker. 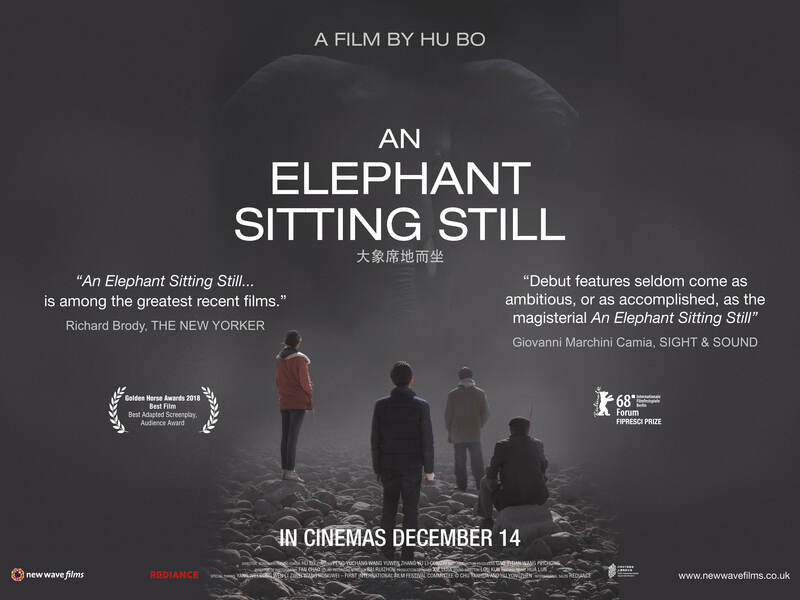 ?Hu paints a picture of existential malaise with such a fine-tuned control of mood, imagery and pacing that the end result resembles a marriage of Jia Zhangke and Bela Tarr. ?